Lang Lock Ring Tool allows access to the fuel filter and pump as the lock ring is connected to the pump. The Lang Lock Ring Tool is made of durable ABS plastic, while competitive products are metal and can scratch the painted surface of the motorcycle. 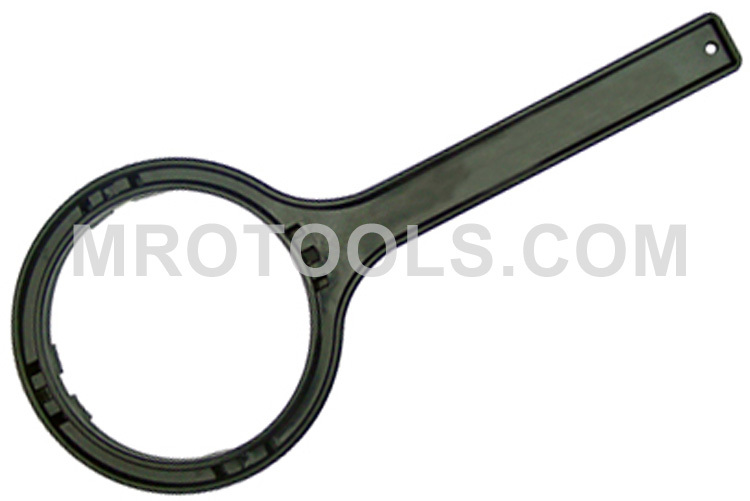 The 492 Lang Lock Ring Tool is one of thousands of quality tooling products available from MRO Tools. Please browse Lang Motorcycle Specialty Tools for tools similar to the 492 Lang Lock Ring Tool. 492 Lang Lock Ring Tool description summary: Lang Lock Ring Tool. Allows access to the fuel filter and pump as the lock ring is connected to the pump. Quantity discounts may be available for the 492 Lang Lock Ring Tool. Please contact MRO Tools for details.